Punjab has remained in the news for more than ten years. Drug trafficking was rampant during the SAD-BJP rule. The official surveys had warned the authorities of serious consequences if the same was not checked. Amarinder Singh The issue of drug trafficking and consumption of drugs in Punjab has taken new highs. The Amarinder Singh led Congress Government has been put in dock. 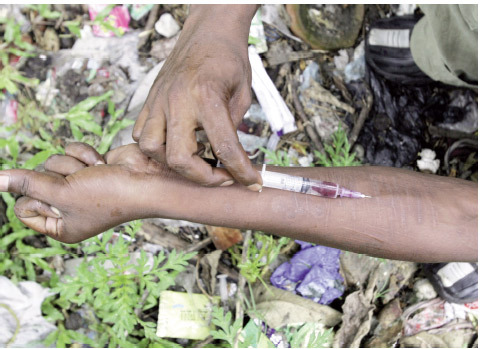 The situation with regard to consumption of drugs has become so acute that even the state government is finding it difficult to tackle it. Roughly 30 drug-related deaths have been reported in a short span of one month. The number of deaths, however, may be more. The panic created by the deaths has stirred the state government. The Punjab cabinet has recommended to the Central Government death penalty for drug smugglers, if they commit offence under the NDPS Act for the first time. Already, there is a provision for death penalty for the second-time offence under the NDPS Act. Punjab has remained in the news for more than ten years . Drug trafficking was rampant during the SAD-BJP rule. The official surveys had warned the authorities of serious consequences if the same was not checked. The survey reports had also indicated a strong nexus among the drug smugglers, politicians and the police. But the authorities did not take things seriously and the drug menace in Punjab became an election issue in 2017. The election resulted in the decimation of the Shiromini Akali Dal. It was reduced to a third position with 15 MLAs from the ruling party. The AAM AADMI PARTY (AAP) became the second party with 22 seats. The AAP hadfought the election on plank of drug trafficking in Punjab. 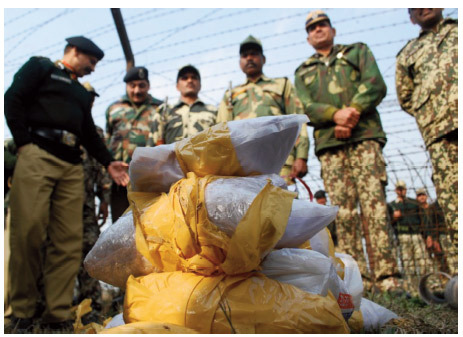 With the increase in the smuggling of drugs from across the borders, a nexus developed between the police, politicians and the drug paddlers. 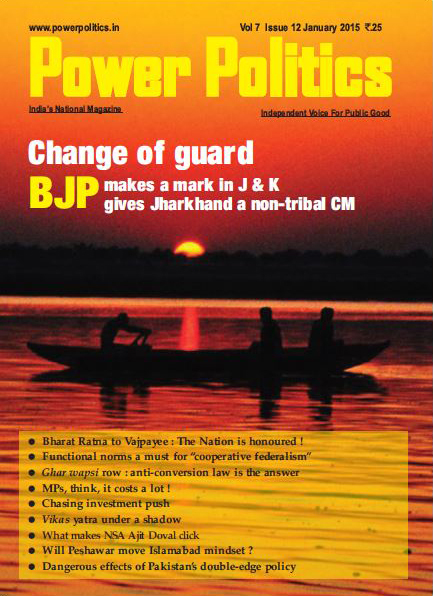 They got the boost when the SADBJP Government came in power for two consecutive terms – 2007 to 2017. 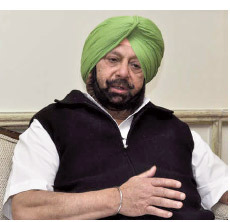 The Congress party which was led by Captain Amarinder Singh took advantage of the situation. He took a pledge with Gutka in his hands that he would finish the drug trade within four weeks. The Congress came into power and Amarinder Singh became Chief Minister. He formed a Special Task Force (STF) headed by a very competent and honest officer Harpreet Singh Sidhu of the rank of ADGP. He was made the Director of the STF and was asked to report directly to the Chief Minister. Sidhu launched the antidrug smuggling campaign with all the force and had some successes. He also succeeded in nabbing some of the police officials involved in the smuggling of drugs and even arrested some. But the situation came to a deadlock when he pointed out his finger at the activities of the former SSP MOGA Rajjit Singh who was alleged to have links with police inspector Inderjit Singh, now behind bars. Rajjit Singh went to the Punjab and Haryana High Court against the report of STF Chief and alleged that he had a personal bias against him. In the tussel that followed, Sidhu was divested of the powers and he was asked to report to the Director General of Punjab Police Suresh Arora instead of the Chief Minister. The differences in the force at the higher level came to the fore. This political tussel among the top brass of the police force slackened the anti drug smuggling campaign. One DGP rank officer, who was heading the SIT formed against Rajjit Singh, was also dragged into the controversy. He also approached the Punjab and Haryana High Court. This DGP rank officer has now been shifted from the state police headquarters and sent to Patiala. Meanwhile, Rajjit Singh has also been transferred from Moga and sent to PAP. His successor Kamaljeet Singh Dhillon, who has earlier served at Moga, is also allegedly a tainted police officer and there are allegations against him of accepting Rs. 40 lakh bribe from juniors when he was SSP Moga. This also indicates that the Punjab police force which fought militancy in Punjab with strong hands has become so corrupt that the top brass is finding it difficult to get some good and honest officers to serve the state of Punjab. As a matter of fact, the Punjab police officers and the ranks got free hand during the militancy and they killed many innocent youths and got rewards and out of rank promotions. When the militancy were extorting money from the innocent people at the same time, policemen were also extorting money from the innocent. After the containment of militancy, there was no check on the corrupt practices of the police force. The Congress government is finding it difficult to control the situation Drugtrafficking has spread to every village of the state. Although Amarinder Singh has taken up a number of steps to stem the rot, the task is not easy. 2017. The SAD top brass created a new institution known as 'Halqa Incharge'. The sub-divisions of the state were put under the control of the MLAs or the favourites of the Akali Dal. The police officers of the rank of DSP and SHOs of the sub-division became subservient to the Halqa Incharge. This nexus between the police, halqa incharge who was normally a political leader were free to catch hold of any person and extort money from him. False cases were registered against innocent persons and Justice Mehtab Singh Gill (retired) judge of the High Court has already submitted five reports to the Chief Minister and recommended cancellation of many FIRs and action against police personnel. During this period drug smuggling also got a boost. Some senior politicians of the ruling clique were also allegedly involved in this racket. The institution of Halqa Incharge has brought many evils in the police force and it is because of this reason that the present setup of the state government finds it difficult to get some good, competent and honest police officers for posting in important districts. It is the misfortune of Punjab is that they are facing unlimited difficulties in getting justice and it is one of the main reasons that the youth of Punjab is going overseas by selling land for greener pastures. They are being fleeced by the unscrupulous travel agents. Coming to the present drug scenario in Punjab, the Congress government is finding it difficult to control the situation as it has spread to every village of the state. Although Amarinder Singh has taken up a number of steps to stem the rot, the task is not easy. He has ordered the screening of the police force but he will find a very large chunk of force involved in the drug trade. The policemen have become overnight rich and they have strong political links that Amarinder may not succeed much in his mission. There are police officials who have served at one place for more than 15 years. They have strong political roots. The Chief Minister has ordered dope test and a number of politicians are going in for the same. How far this will succeed only time will tell. The only silver linings that the people who have suffered due to drug infection and have lost their kith and kins have come out in public to pose the drug paddlers. This will definitely help the state government in nabbing the erring officials and the drug smugglers. Credit must also go to the LOK INSAF PARTY headed by Simmarjit Singh Bains – Ludhiana MLA who exposed the police officials who were bringing women to the drug addiction. If Simmarjit Bains had not exposed the racket of women involvement, there would have been no upheaval in Punjab which is being seen in the state. The Punjab police could contain the militancy only with the help of the people of the state who started providing information to the police regarding the hideouts of the militants. Chief Minister Amarinder Singh should pat people like Simmarjit Singh Bains rising above party politics in the interest of the state which is on the edge of ruination. Punjab Tera Rab Rakha. Let us all pray to God to save this land of gurus from such menace !